When I go grocery shopping each week, I notice that my cart is filled with many of the same brand name products on each and every trip. These items have long proven themselves in my household and there's no way I would consider switching to anything else just to save a few cents. Upon closer inspection, I find that many of my family's most trusted brands have one thing in common...they're from Procter & Gamble. From beauty and health to home and beyond, P&G’s brands make every day just a little better for billions of consumers around the world. Venus razors, Pantene shampoo and conditioner and Tide detergent are just a few out of dozens of P&G products I simply couldn't be without. Not to mention Cover Girl cosmetics, Febreze air fresheners, IAMS pet food and Cascade dishwasher detergent. If you love P&G products too and depend on these household essentials to make your life a little easier, then keep reading to learn how P&G wants to share, love and celebrate the best of what they have to offer with you! This weekend, check out the March 31 brandSAVER coupon booklet for savings on some of P&G's award-winning brands. It's nice to see P&G returning the love back to their loyal customers by sharing some additional savings on the products we use most. 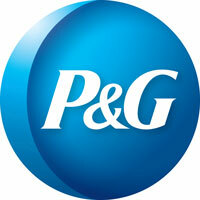 Now it's your turn...what P&G products do you depend on most? Enter the giveaway below for a chance to win a P&G prize pack and pick up the March 31st brandSAVER coupon booklet to start saving on those P&G essentials we all know and love! Disclosure: I received the products shown above from P&G in order to facilitate my review. No other compensation was received. This product review is based on my own personal experiences with this item and is completely honest and objective. ** Some products may be substituted based on availability. Cascade. It’s the only one I ever use! I have Duracell in my home. I’ll have to say Bounty. I have a lot of the P&G products but Tide is an absolute must. Charmin…It’s the only brand I use. We always have Pantene products in our house…use them every single day. Cover Girl’s Lash Blast and Swiffer! 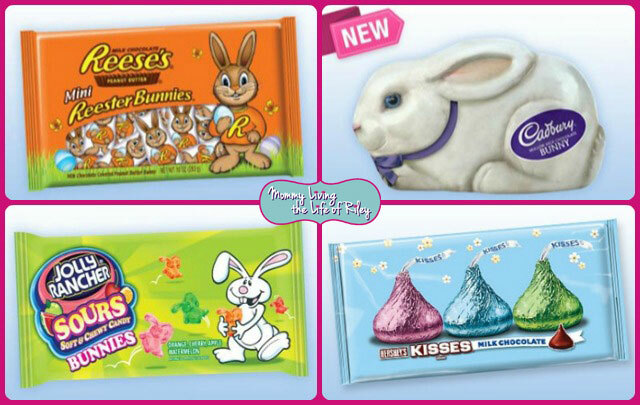 Total Must-Haves! Dawn is a must-have in my home. Oral B–the best tooth brand! Swiffer and Pantene are must haves in my house! We love the Charmin brand in our home! SWIFFER IS A MUST. I ALSO LOVE OLAY, PANTENE, AND DOWNY, TO NAME A FEW. Nice N Easy is a must have brand in my home! Tide is one of our favorite products. My Swiffer Wet Jet is a must have in my home, it replaced an icky old mop that I don’t want to see again. Tide, Charmin, Pampers to name a few! There are a lot of P&G brands that I frequently use but I think Dawn is probably a ‘must have’ more than any other product. Tide is a must have in our home! Charmin is our must have. My must have brand would be CoverGirl! Bounty Towels are a must in my house. Pampers are a must have for our youngest. i have to have Dawn dishwashing liquid in my house. Tide for my cloth diapers. Tide is a must have in my home, it’s the only laundry detergent I will use. Cover Girl mascara and swiffer! Dawn is a must at our house. Dawn is my favorite P&G product. As well has Luvs diapers! We always have swiffer in our home! i have to have downy! I use all their brands and love them – Tide, Febreze, CoverGirl, etc. I can’t pick a favorite! I’m a huge Crest Pro-Health fan! pantene shampoo, my family cant live without it. Gillette Venus razor – 3 girls = lots of razors!! I love the Olay brand. Bounty papertowels.We use them all the time, esp. the select a size. I must have Bounty in my home! Pantene is a must have at my house. I love ALL of the P&G products and it is hard to pick just one, but a true must have for my house is Dawn dish liquid. It really does the job that is advertised and I LOVE it!! Our favorite P&G product is Duracell batteries because they last a long time in my daughter’s toys. So many products that we use everyday… Must haves for my household would be Tide detergent and Aussie deep conditioner. Swiffer dusters are our must have product. 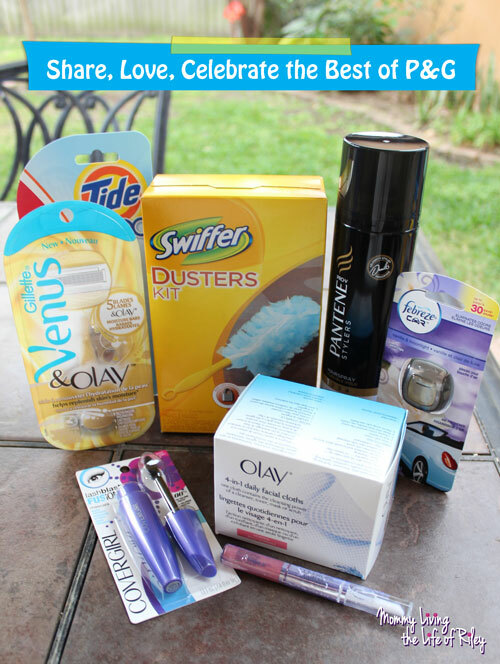 There are a lot of PG must haves in my home but Tide and Downy are staples in my home! We use Cascade Dishwasher Detergent almost every day! Tide liquid is my must have. Always Infinity Pads are a must in my home. Ziploc is the brand that my family cannot live without having in the house. I can’t live without Charmin and Dawn! CoverGirl LashBlast Volume Mascara is a must have for me. Thanks for the chance to win! Covergirl is definitely a must have! Love there Clump Crusher mascara! Also, Listerine! I must have Ivory soap. Too many to just name ONE!! =) I like cascade, downy, tide, bounty, and dawn just to name a few! I have to have Tide with Febreeze. We are big Bounty fans. Charmin is one brand that is a must-have in my house! Pampers is a must have! Swiffer is my favorite! I use it all the time in my home! I am a huge fan of Pantene shampoo. Thanks for the chance. Bounty towels are a must for us. I use so many. Bounty and Tide. Pantene shampoo and conditioners are always in my home. Gain laundry detergent is my very favorite. I crave that scent above all others! I love Pantene hair products. Tide has always been my favorite detergent. The venus razor! It’s the only one I use. Pampers are the only diapers we use! I only use Crest. I won’t brush my teeth with any other toothpaste. Gotta have my Swiffer products!! I always have swiffers products in the house! Febreze is definitely a must have in our house. Thanks so much for hosting this great giveaway! Swiffer is a must have! Definitely Olay! Thanks for hosting! Charmin! Everyone needs toilet tissue. I always have crest in the house. I love tide. The only brand I use! Gillette Venus Razors are my absolute fave! Can’t be the quality for the value! Charmin is a must have in our house. Dawn, Tide, and many more! I like the Cascade ActionPacs. Swiffer dusters are a must have in my home! We always use Crest toothpaste at our house. I love Puff tissues and Dawn dish soap. always have to have some Crest toothpaste! I love all things Swiffer! Many of the P&G products are must haves in our home but Swiffer is at the top of my list. Tide and Cascade are products I use all the time. I have to have Cascade dishwasher tabs. Olay is my favorite P&G product. Swiffer Dusters! I have all hardwood floors and refuse to close my windows! It gets dusty in here. What would I do with Cascade? Charmin. It’s the only brand I use! Tide is a must in our house. Tide pods, they get used every day! I use Pantene and Olay on a daily basis. We always have febreeze in the house. My must haves would be Bounty paper towels, Pantene shampoo and conditioner and Cascade dishwasher tablets. Swiffer is used on a daily basis. Tide detergent is a must have in our home. I always have Swiffer Dusters. I have an infant; so Pampers wipes! I have to have my Charmin. I must have my swiffer. We must always have Pampers baby wipes. I have to have tide, dawn, and charmin in our house. We always have Swiffer Pads and I love Venus Razors. Charmin toilet paper is preferred in our home. Cascade and Gain – must-haves in our home! Charmin is a must have in my home. :-) Thank you. P&G has quite a list of brands and picking one I could not do without is difficult . But we live in battery powered world and the Duracell batteries would be hard to live without. We use a ton of Duracell batteries! I use a lot of tide and pantene!! Liquid Tide in this house. I use Olay products every day. They are a definite must have. Tide laundry would be it!!! The Tide To Go Pen is one of my must haves. I keep one in my desk at work and it has come in very handy!